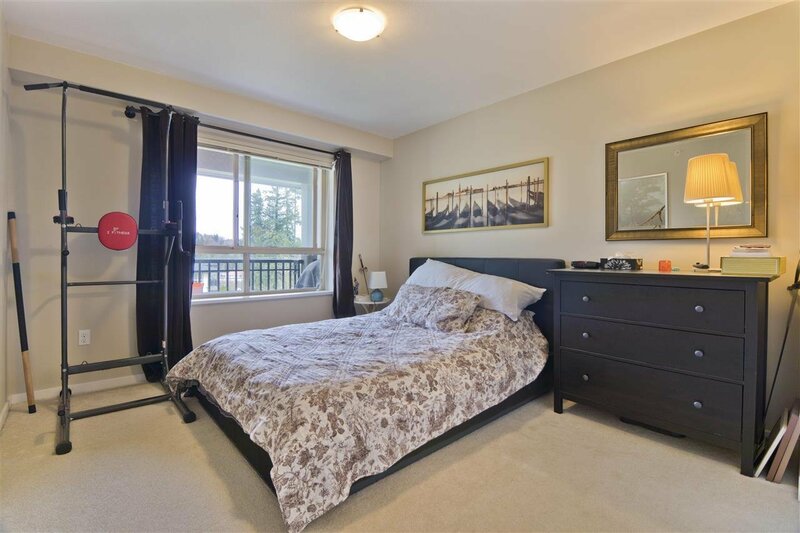 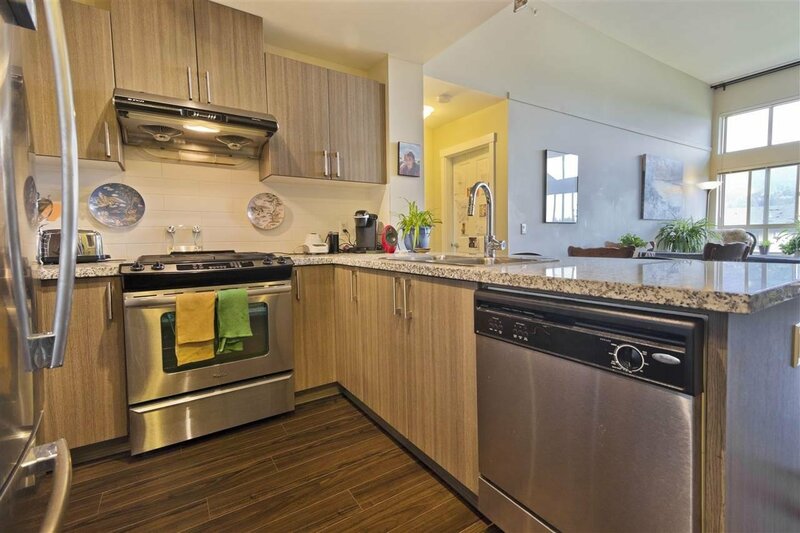 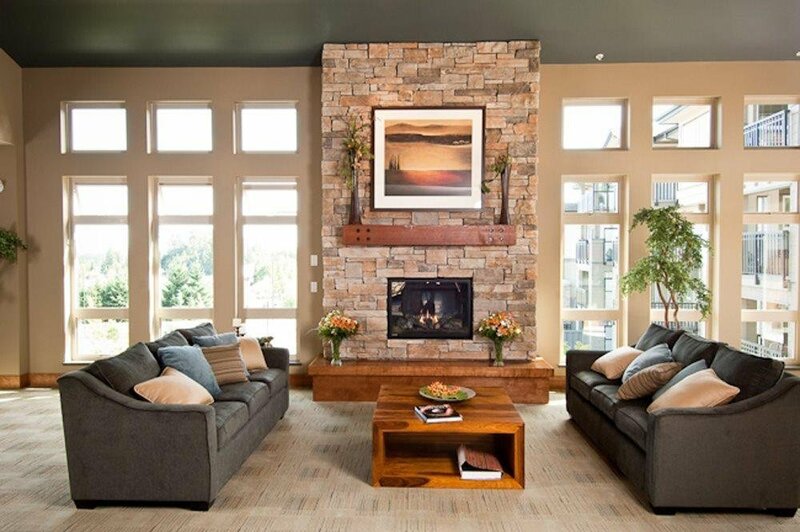 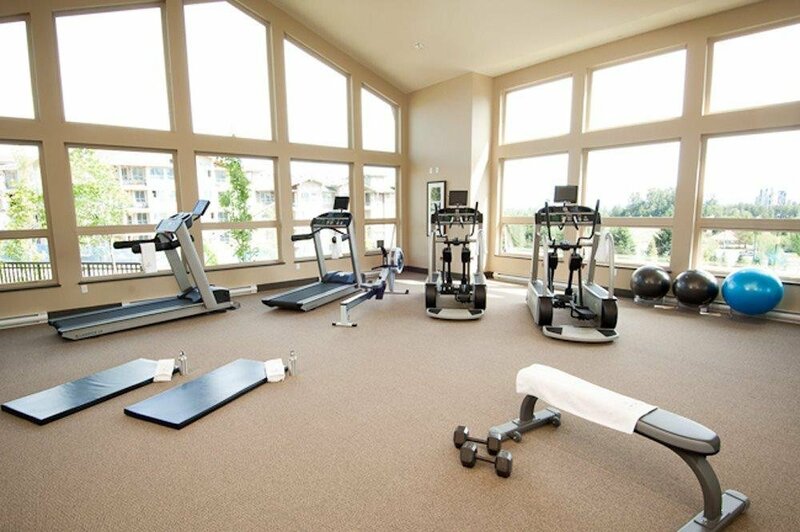 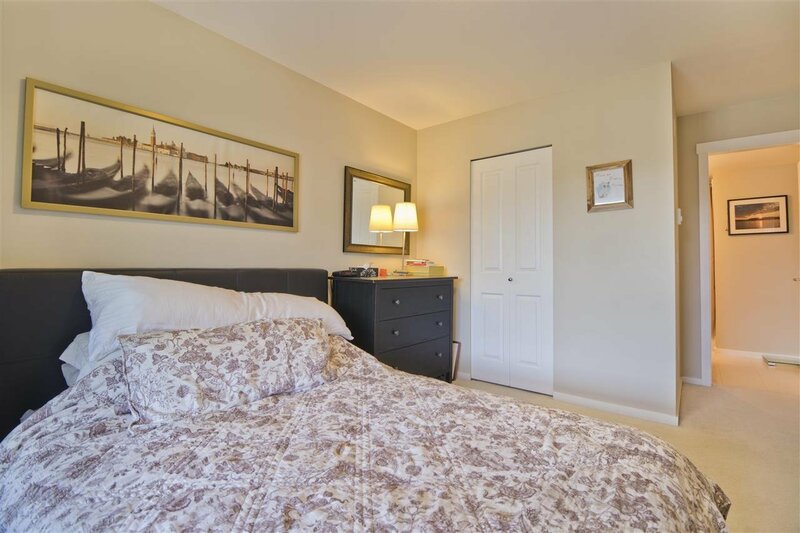 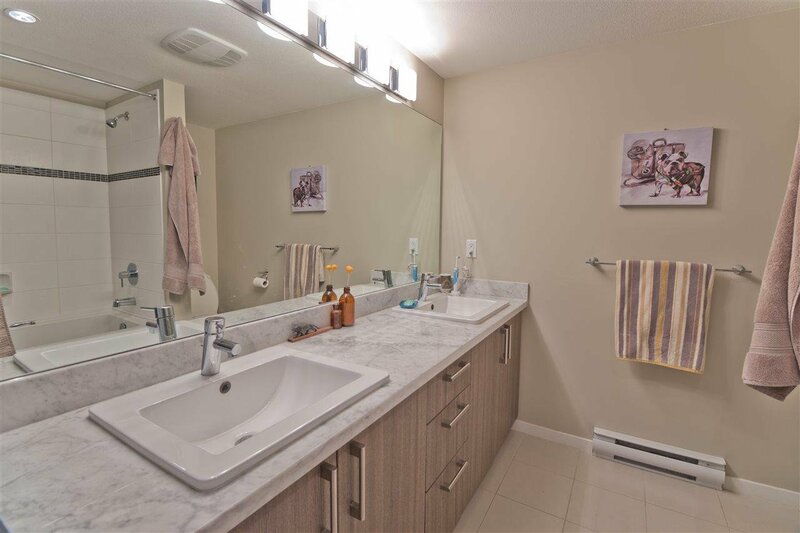 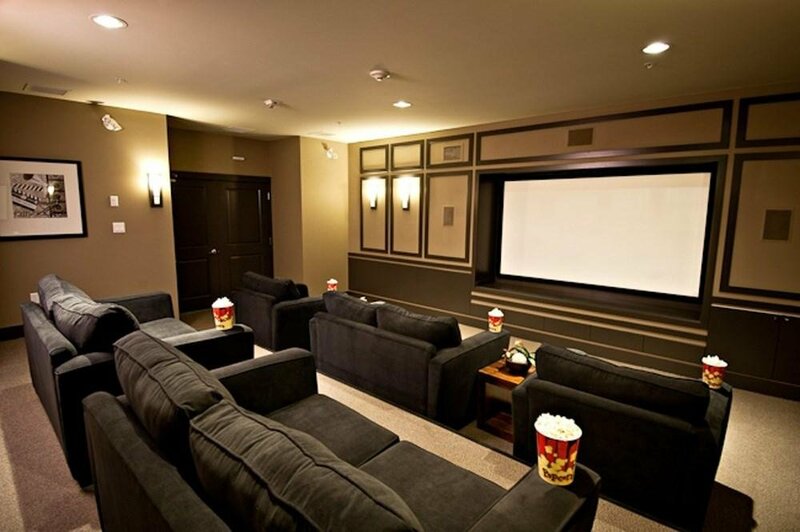 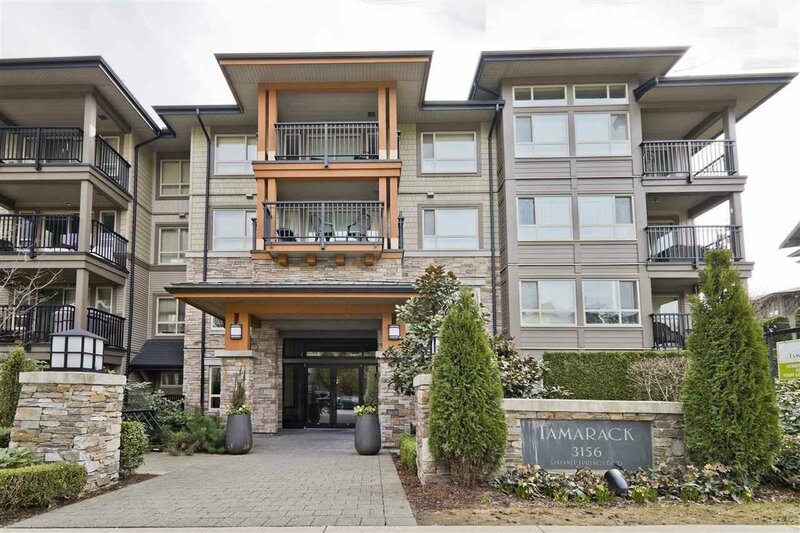 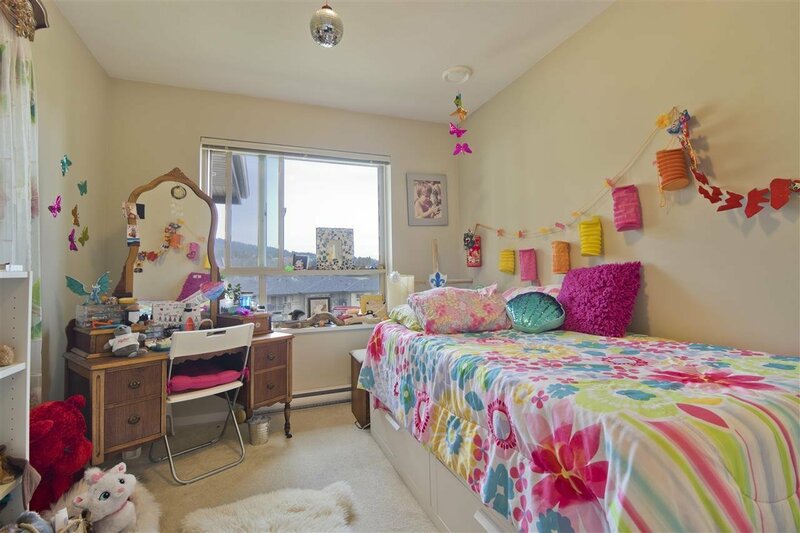 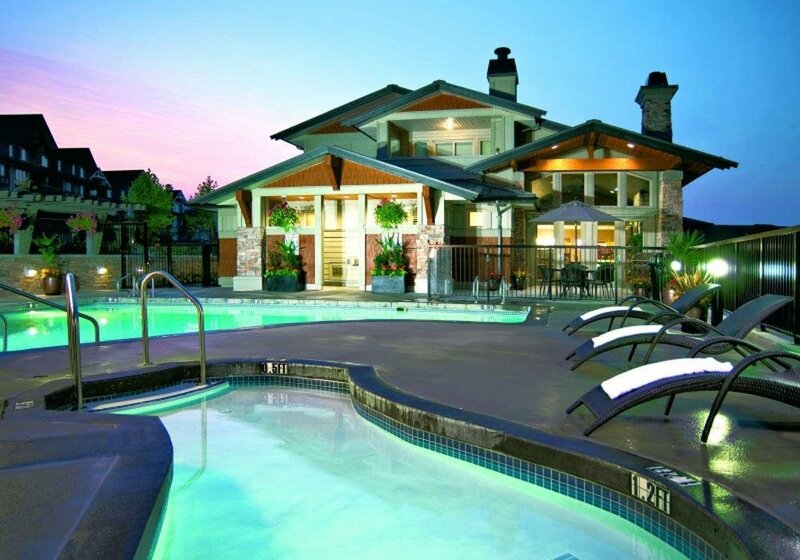 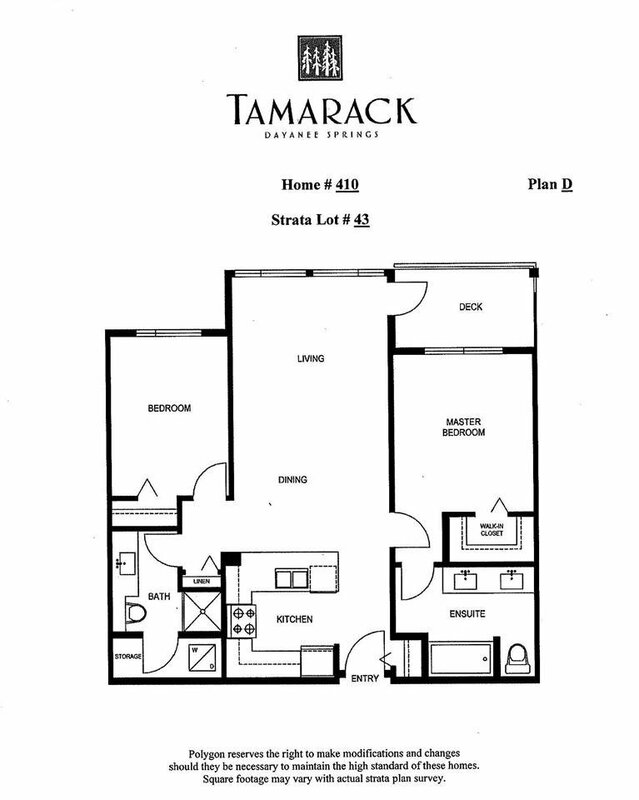 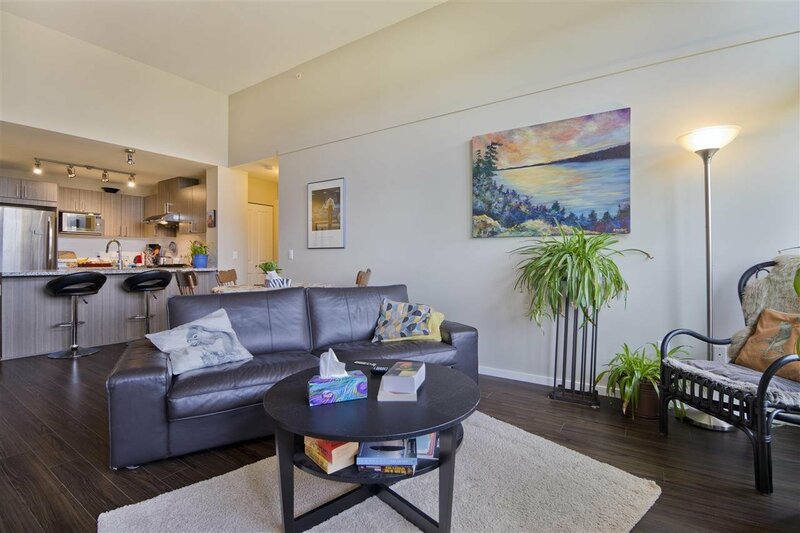 Come see this breathtaking apartment in Tamarack by Polygon at the base of Westwood Plateau. 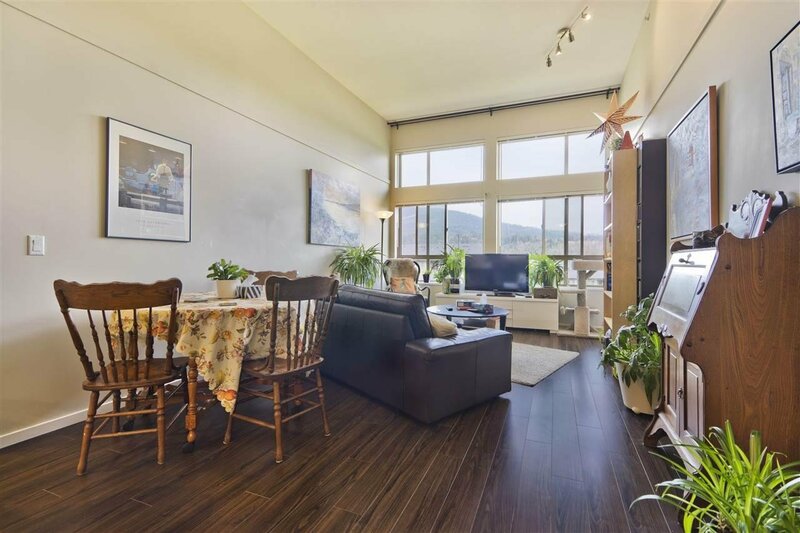 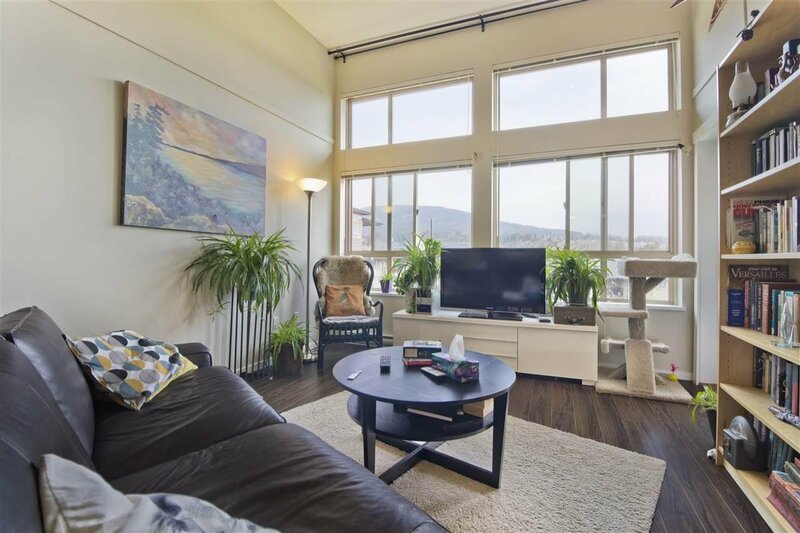 This two bedroom Whistler-inspired urban retreat features bright and open layouts that overlooks the garden with mountain views. 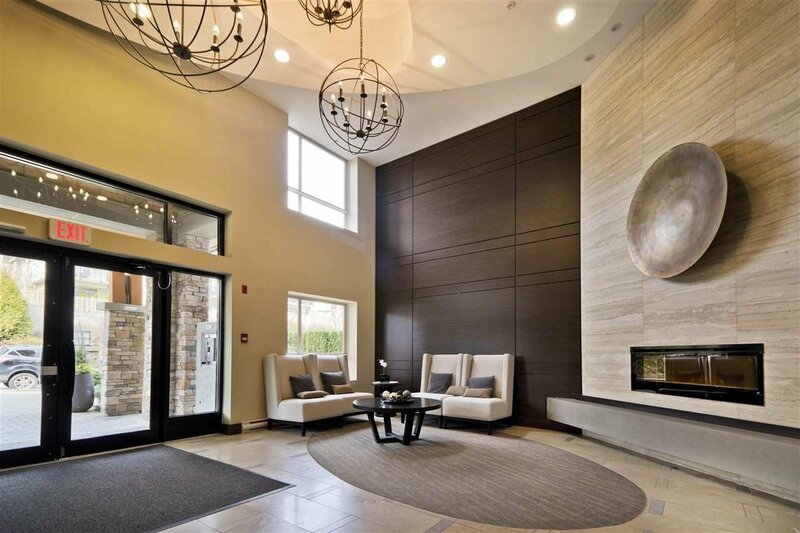 Topped with a high-vaulted living room, granite countertops, warm laminate flooring, sleek stainless steel appliances, one parking and locker space, private Timbers Club membership, and over 7,000 sft of amenities, will make you feel as if your home is in a resort! 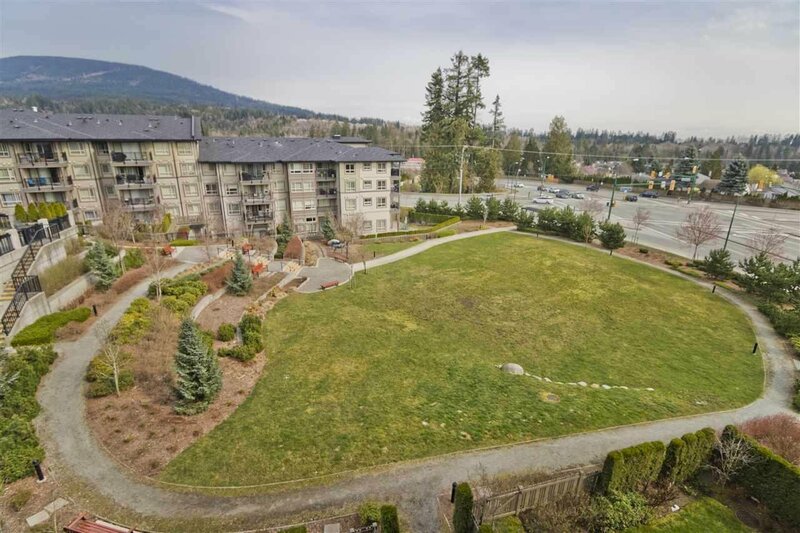 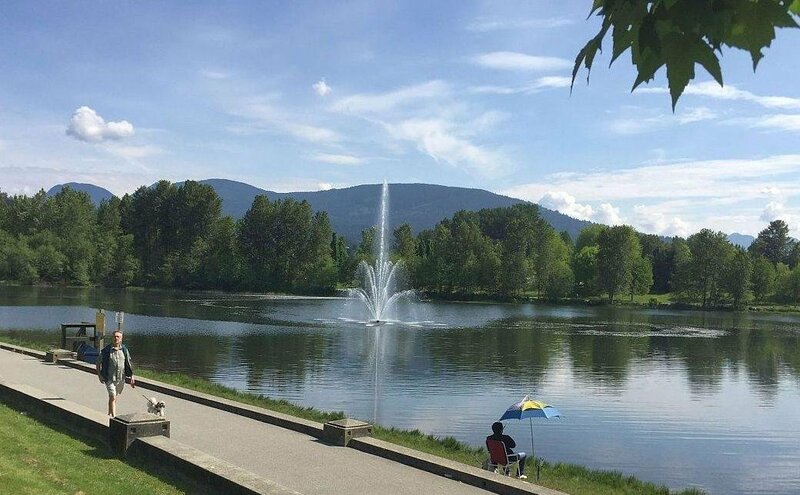 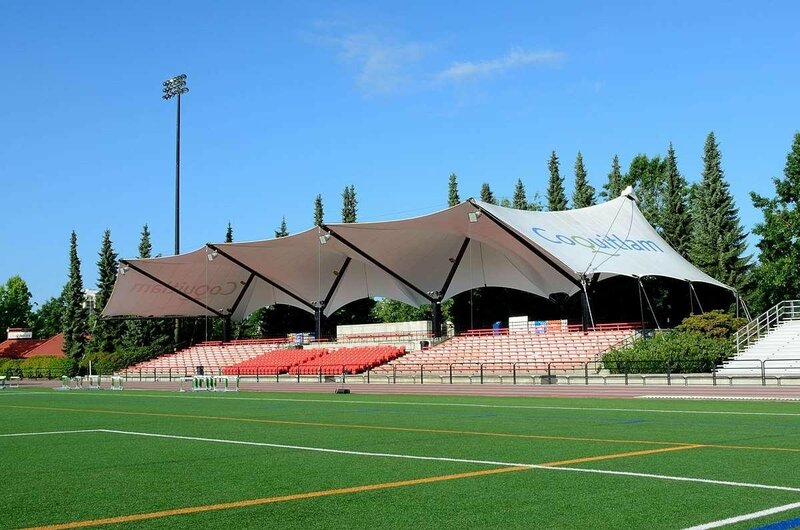 Living here, enjoy easy access to all levels of schools, transit & amenities; Evergreen Skytrain, Lafarge Lake, Percy Perry Stadium, Coquitlam Mall, Pinetree Secondary & Douglas College are all a short walk away. 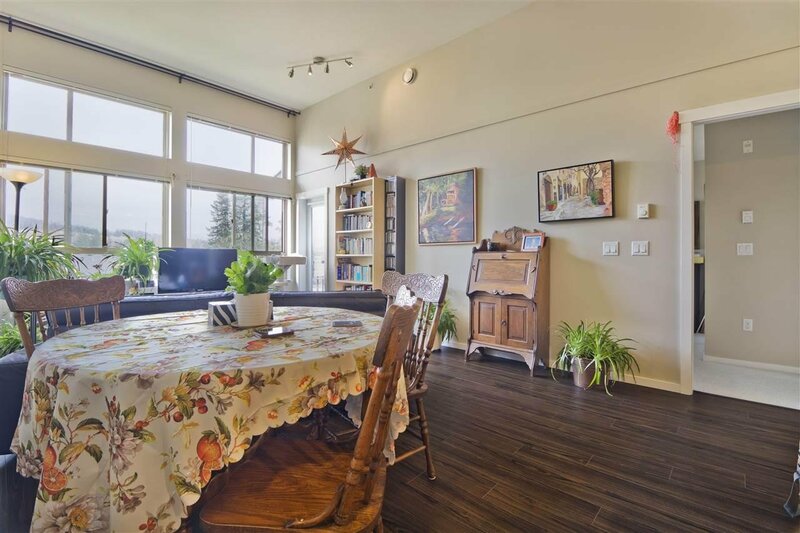 Open house: Sun, Apr 14, 2:00-4:00pm.